I imagine that the awkwardness in the original has something to do with the overload of verbs up front – started, to finish, and learning are a fair number of actions to take into account. Particularly as they are only meant to signify a single but continuing process. Yet there is also the problem of starting to finish something. What does that mean? I know what starting is, likewise finishing. But at what point in a project do you start to finish? Is three quarters of the way through a safe bet? Halfway? What if all beginnings are, in fact, the start of a finish? Isn’t that the teleological nature of all our endeavors? When we begin something, it is with the intention to end it. And so perhaps what strikes me as strange about saying I’ve recently started to finish learning the Bach Two-Part Inventions is that, in truth, I started them quite a long time ago. Only recently have I made a point to finish learning them. Little more than a month ago, my goals were measured in chapters and sections (sometimes paragraphs and sentences) of a large written document that had a very clear end in sight. ** Without these goals, I literally have no idea how to live my day. I need new goals. And the first one that appeared was Bach. 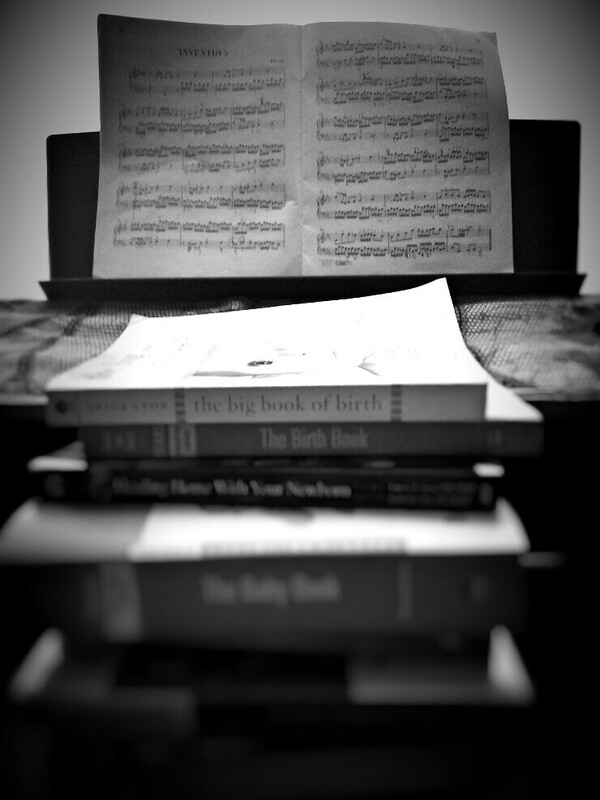 Because Bach and I have unfinished business. And that’s when Bach appeared. Because Bach takes time and concentration. Much more than I ever had as an undergrad, and certainly more than I will ever have again. There seemed to be no better answer to the question “How shall I fill my empty time?” If this particular epoch of liminal existence feels like a three month plane ride, then why not fill it with the kind of things one never has time to do? So every morning, I sit down at my keyboard and slowly (painfully slowly) tap away at a line of music that, after two hours or so, is rendered more or less speedy in tempo, more or less accurate in notes. And this sounds excruciatingly boring. And it is sometimes. (Especially when I click back into “good music major” habits and actually play some warm-up scales.) But it is also a divine luxury, to be able to sit peacefully, without disturbance, and take all the time that I need. And this practice expresses what really is so important about Bach Inventions as opposed to any other series of keyboard literature floating out in the world: they require slowing oneself down nearly beyond imagining. It is a lesson I never learned as an impatient teenager in the practice room; it is a lesson that I never learned as an impatient graduate student in the library. The lesson of tedium is hard won, and much of life is tedious indeed. So I attempt to finish this piece of music in the remaining weeks the way that other soon-to-be parents occupy themselves with reading baby books and decorating the nursery. But I cannot imagine that the newly arrived member of our home will be at all appreciative of my ability to interpret the timbre of its cries or the color of its vomit, nor with how well the whimsical paintings on the walls match the crib bedding. It will also, in all likelihood, fail to be impressed by its mother’s ability to play all fifteen of Bach’s Two-Part Inventions. But it may notice the stores of maternal patience that she has acquired in the process. This is time in two parts. On the one hand, the large openness of the time it takes to make a human, on the other hand, the screeching pace of a metronome moving from 68 BPM to 120. Counterpoint, which is not the same thing as harmony at all. It functions – like multiple stratas of time – in dissonance and resolve. *Hire me as an editor. I have competitive rates. ***That is actually the fault of Shostakovitch. ****This is expressed in the Aesthetics book of The Critique of the Power of Judgment (1790). ***** The exclamation is attributed to Archimedes, who discovered that bath water is displaced in equal proportion to the amount of naked Greek body you submerge in it.